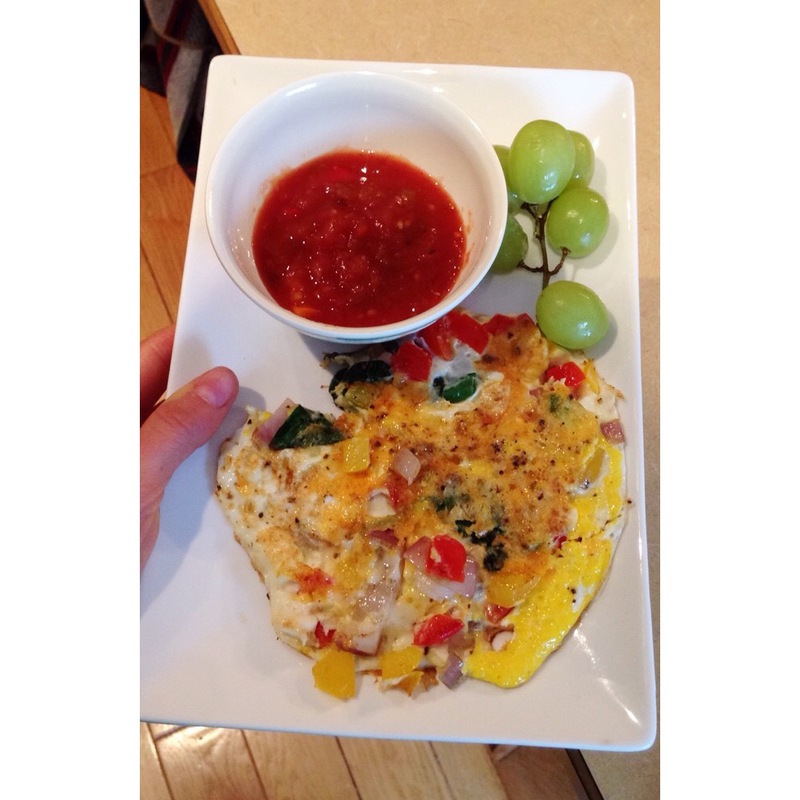 Egg whites are an excellent source of protein and contain zero grams of fat. They are great for making omelettes. Sautee some veggies in a small pan (e.g. chopped peppers, onions, mushrooms, and spinach). Add in 1/3 cup egg whites. Sprinkle on shredded cheese. Cook each side for ~5-7 minutes on medium heat.